Preventing a problem is always much better and less demanding than finding the cure. With your car, the same principle applies. The simplest, least costly, and most efficient way to prolong the life of your car, and particularly the engine’s health, is to schedule regular oil and oil-filter changes. Oil works primarily to lubricate the moving parts of your engine and prevent wear and tear. It is stored on the oil sump, at the bottom of the engine from where it is distributed to other engine parts. The circulating oil cleans the surfaces and helps to cool the engine before it collect’s back to the oil sump. Fresh oil that is of high quality is essential to keeping your engine running optimally. Most people however, put off an oil change until they are well past the recommended 5000 mile mark. As a result, your engine is forced to work harder while it is being cooled with less lubrication. This is caused by oil and sludge buildup as the oil becomes dirty. Ultimately, your engine can suffer severe damage. Rather than suffer the fate of a seized, or severely damaged engine, take some preventative measures and avoid costly repair bills. A simple oil change appointment with us is one such measure that will ensure your engine performs better, and longer. For the continued health of your engine, it is advisable to have an oil change after every 5000 miles. With every appointment with us, your car will undergo our comprehensive multi-point courtesy check. Accordingly, we will take a look at the interior, exterior, underneath the car and give the tires a kick or two to ensure everything is in top shape. • The Brake Fluid – To ensure that the brake fluid is still able to operate at high pressure, temperature, and stress to bring the vehicle to a complete and safe stop. • The Engine Air Filter – To ensure the filters are working perfectly to offer the engine a constant supply of clean air without impurities. • Coolant/Antifreeze – To ensure the coolant is still able to remain liquid even below freezing temperatures. As the additives wear off, your coolant will need changing periodically to ensure the passenger compartment remains comfortable. • Transmission Fluid – To ensure the transmission fluid needed to maintain the automatic transmission continues to perform at an optimum level. • Power Steering Fluid – To ensure the power steering wheel fluid is free from grit and other impurities that accumulate on the system making it harder to steer the vehicle. Our custom check, examines the liquid to see if flushing is needed or not to ensure the steering wheel is as smooth as ever. With every appointment you book with us, too, we will walk you through every step of any proposed repairs and replacement. We always strive to follow the recommended procedures set by the vehicle manufacturer when replacing these vital components and fluids to safeguard the perfect health of your car. So, the next time you clock 5000 miles, don’t wait for all the signs on your dashboard to start flashing. Stop by, or call us today! Since Gold Wing Motors opened our doors almost 30 years ago, we have always stood by the commitment of only utilizing the best products to maintain our customers vehicles. 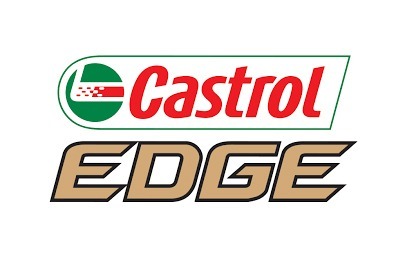 For this reason, and the fact that many manufacturers also recommend it, we utilize Castrol Edge lubricant in all of our customer vehicles. It has long proven to be well above the standards required by the vehicle manufacturers, as well as our own. We have been helping drivers throughout Miami, Florida maintain their vehicles since 1989. Our ASE Certified Technicians will handle of all your auto repair and maintenance needs. From oil changes, filter replacements, and fluid flushes to brakes and brake repair, shocks and struts, muffler repair, tires, and wheel alignment, you are in good hands here at Gold Wing Motors.